Team members: Lily Huang, Claus Buckert, Davy Gant, Vasileios Paschos, and Stephanie Pyne. It has been two weeks since our Global Consulting Project (GCP) team touched down at Dubai International Airport. We were promptly met by two company drivers with two individual trucks—because our luggage evidently deserved its own transportation to the hotel. The immense hospitality of our client was immediately felt at this point; we stumbled around our spacious hotel rooms, unsure of how to sleep on a queen-sized bed, and rummaged through our ‘Welcome to Sharjah’ goodie bags like it was Christmas. The GCP has truly been a hands-on experience, allowing us to apply both our hard and soft skills obtained from the Cambridge MBA. Despite none of us having prior knowledge about the industry, we knew to compare various financial ratios in order to properly evaluate across different business units of a logistics company. 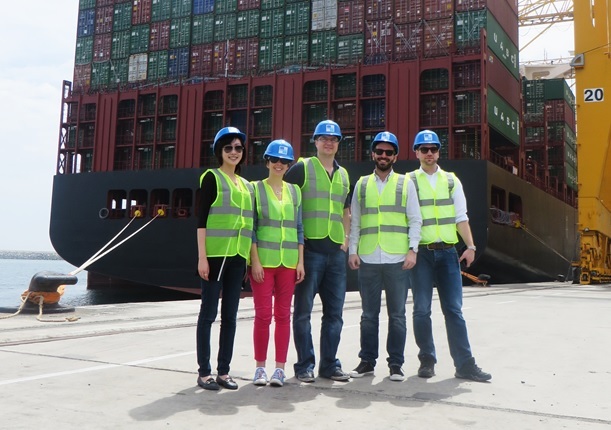 We have visited two port operations, conducting hours of interviews to grasp the complexity and potential for synergies between port operations and freight forwarding. Employees from director-level to even our client’s customers themselves have all been ecstatic about furthering our learning. It has been a rare opportunity to get access to compelling insights with industry veterans willing to divulge their years of experience to MBA students. Having finished exploring the fish markets and endless gold shops of the Sharjah souks, we are now preparing ourselves for a weekend in the desert filled with dune rides and camels. Then, it’s straight into an intensive week ahead where we will be finalising our client presentation! We took a short break in Rio De Janeiro over the weekend, and it was very interesting to contrast urban vs. suburban Brazil, not to mention the beach! We spent most of our time in the famed Copacabana beach and enjoyed the massive waves, prawns, beers and caipirinha. More than halfway through the project, the level of team internal/external discussion is increasingly crystallising our findings and hypothesis. While the final output from this process is the final presentation plus a report, what we bear in mind at all times is how to best impact the company and its organisational needs. As the project nears its completion, I’d like to also mention how privileged I feel to be working with my team. Our team consists of a female engineer who is a great project manager and without whom this project would not have materialised, an executive from a large corporation from whom I’ve learnt excellent management skills, a marketer/entrepreneur whose understanding of people and positivity enlightens the team and last but not least, a finance genius who constantly impresses me with his market insights. Did I mention they are also great drinking buddies and advisors? We anticipate an eventful week next week as we have the project final presentation, will give talks to the university students of Uberlandia, and finally celebrate with our client before we wrap up and head back to Cambridge. 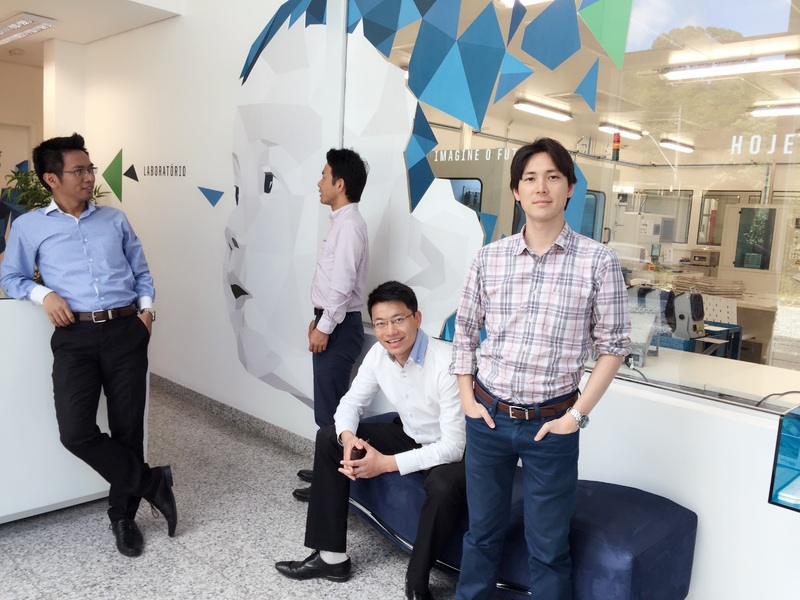 With the first two weeks having rushed by, we started to comtemplate CSEM’s business model in the coming five years. The primary project purpose was to come up with several applications including LTCC (Low Temperature Co-fired Ceramics) to monetise, so we needed to strategise how to the acquire necessary capabilities to realise monetisation and sustainable growth. We categorised the action to be taken into three strands—corporate development, marketing, and strategic human resource management. As for corporate development, we made a short list of potential partners including strategic alliances and M&A, considering the current capability gap. CSEM is still small company, so it is important to cooperate with external organisations to enrich its expertise and experiences. Marketing and sales activity are also critical to increase the number of potential customers and project pipelines. Since our client is the only Brazilian company handling LTCC, it needs to make efforts to promote in effective measures. Strategic human resource management is the final and most difficult challenge to enhance its organisational skills set and mid set. By aligning its corporate strategy and business strategy, we anticipate CSEM should grow to a proficient organisation which offers customer-oriented products with premium and uniqueness. We will change our gear into full-power as we head towards the final presentation and delivery next week. Utilising the feedback and insight from staff and relative organisations of CSEM, we will polish and finalise our solution and recommendation to the brighter future.